In order to get a better idea of where the pitches are exactly on the compound, you can have a look here at some maps. This might help you with indicating a preference for a spot when booking. 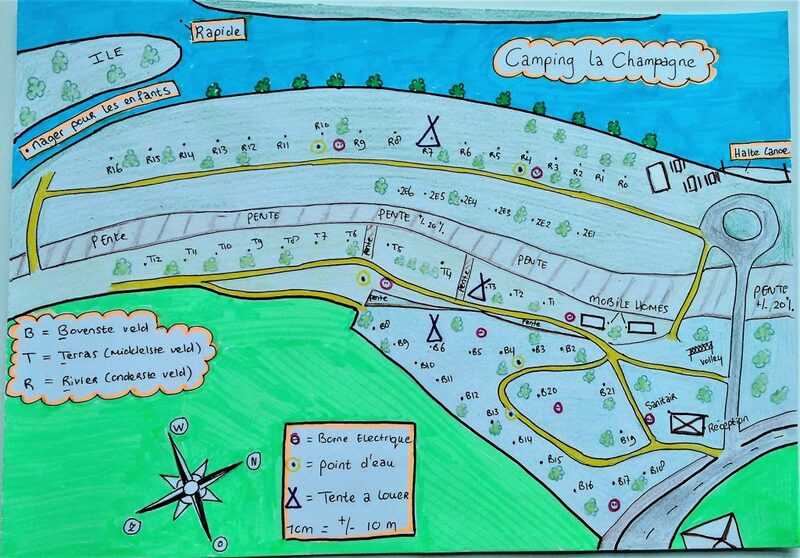 Here you can have a look at the campsite’s map with all the pitch numbers. There is also a Google Earth view to complete the picture. All the way at the bottom you’ll find a list of cable lengths required in case you would like to book electricity with your pitch. Keep in mind that the red dot indicating La Champagne is actually indicating the tiny hamlet of La Champagne. 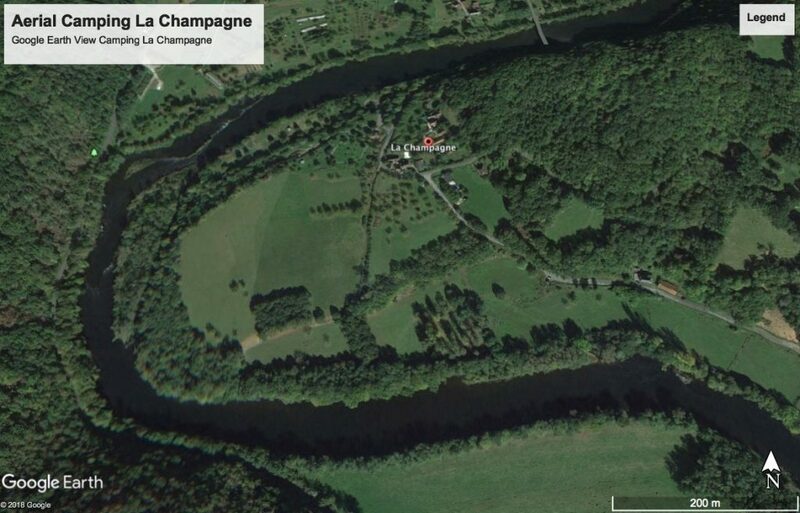 The small campsite itself is just to the left of it, on the banks of the Dordogne.